Tecplot, Inc., developer of the leading CFD visualization and analysis software for engineers and scientists, today announced the general availability of Tecplot Chorus 2016 Release 1, a design-space simulation data analysis product that incorporates Tecplot 360 EX. In the last release of Tecplot Chorus, the company introduced the Selected Cases view and Color-by-Filter Violations for 2D scatter plots. For this new this release, Tecplot extended the filter violation coloring to the Table Views to help even more with trade studies. This new capability makes it easy to identify where values lie in the range of all values and how close cases are to constraint boundaries. Open CSV Project lets users create a project file using the same base name as the CSV file if no project file already exists. If a project file of the same name already exists, users will now be prompted to specify a file name for their project file. This is a slight change in the workflow and was made to reduce the likelihood of accidentally overwriting an existing project file when using this menu option. 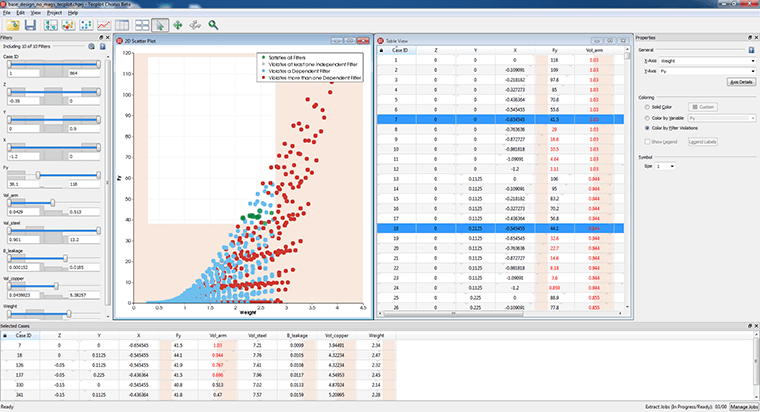 Tecplot Chorus supports 64-bit Windows and Linux platforms. Pricing for Tecplot Chorus starts at $4,700 for an annual single-facility network license in the U.S. and Canada. For more information about Tecplot Chorus, visit http://www.tecplot.com/chorus/. Since its founding more than 30 years ago, Tecplot has consistently delivered category-leading innovation to the engineering and scientific communities. Examples of this never-ending innovation include Tecplot RS for oil & gas reservoir simulation, Tecplot Chorus for analyzing multiple simulations of design-space exploration data, Tecplot 360 EX for lightning-fast analysis of massive CFD simulation data, and Tecplot Focus for automating routine data analysis and plotting tasks.